“In bivocational ministry, one has to choose where to fail, because you can't do it all." The Robert G. and Nellie B. den Dulk Lectures on Pastoral Ministry were endowed by friends of Westminster Seminary California (WSC) and by the den Dulks in 1993, when Dr. den Dulk resigned as the second president of the seminary. In appreciation for the den Dulks’ 30-year service to both Westminster Seminaries in California and Philadelphia and in recognition of their passion for the preparation of pastors to preach the Word of God faithfully and powerfully, WSC designated the proceeds of this endowment to bring an experienced pastor to campus each year to address current and future ministers of Word and Sacrament in order to encourage and offer wise counsel regarding the rigors and joys of shepherding Christ’s flock. 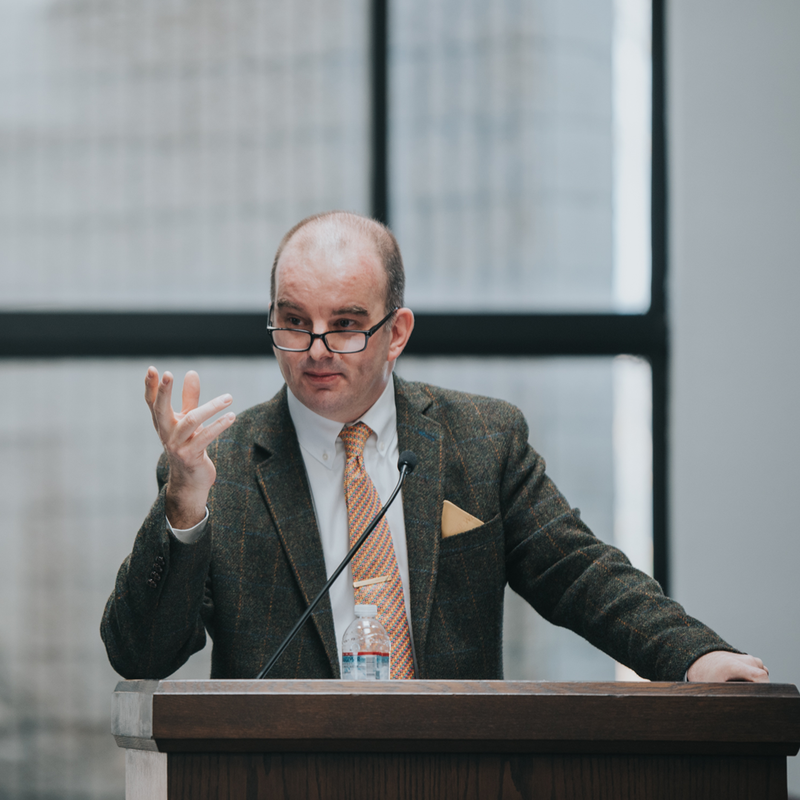 On March 5-6, 2019, WSC welcomed Dr. Carl Trueman to deliver the den Dulk Lectures. Dr. Trueman is Professor of Biblical and Religious Studies at Grove City College. Previously, he held the Paul Woolley Chair of Church History at Westminster Theological Seminary in Philadelphia. He also served on the faculties of the universities of Nottingham and Aberdeen in the United Kingdom. Dr. Trueman has published many books and journal articles on church history. Many know him best as a co-host of “The Mortification of Spin” podcast, as well as a regular contributor to its blog. Dr. Trueman titled his lectures, “And Miles to Go Before I Sleep: Reflections on Church, Seminary, and Bi-vocational Ministry.” His opening lecture reflected on his years serving as a pastor of a small congregation in Philadelphia while simultaneously serving as a seminary professor. While Dr. Trueman expects a continued rise in bi-vocational ministry, he wanted to share some of the unique challenges that accompany it. He explained, “In bi-vocational ministry, one has to choose where to fail, because you can't do it all.” His second lecture turned to the dynamics seminaries face today as they attempt to navigate their spiritual work with the fact that they also operate as businesses, albeit nonprofits. Dr. Trueman encouraged seminaries and their faculties to refrain from treating extra-confessional issues as differences worthy of dividing us. Likewise, he warned against treating theological heroes as idols. Dr. Trueman’s final address, “Plastic People in a Liquid World,” examined the challenges facing the church with regard to rapidly changing social morality, particularly related to human sexuality. 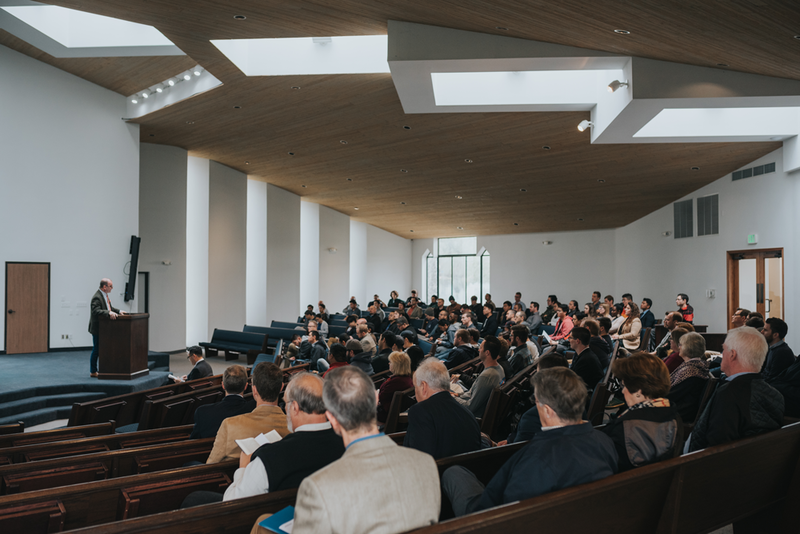 Many guests from local churches attended the 2019 den Dulk Lectures. WSC is thankful for Dr. Trueman sharing his wisdom and insight with the seminary and local community.